Play your tee shot down the middle through the avenue of trees - long hitters may not need a driver here as the fairway is downhill to a ditch 270 yards away. 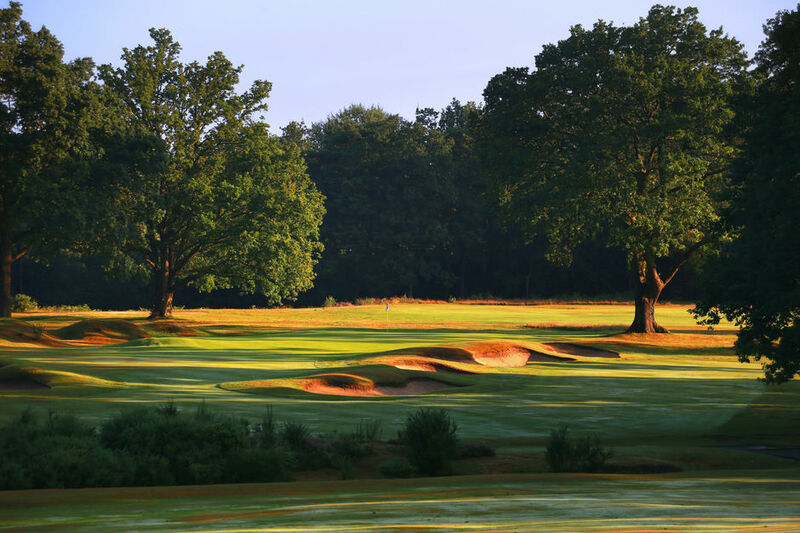 The approach shot will be from a hanging lie over a green sloping from back to front and at an angle to you - the ideal shot is a gentle fade, but again clubbing is critical as beyond the left side of the green is a swale that is best avoided. Short and right of the pin leaves the easiest putt but brings the greenside bunkers into play!